Have you heard of the HRTE or High Road to Education? It’s a two-day event that incorporates all types of nail education and several different educators into one mix of non-manufacturer-specific education. They are held all over the U.S. and have even gone global! I’m so excited to share with you that I will be teaching at the HRTE coming up February 26 and 27 in Atlanta. In addition to my class, there will also be Swarovski with Gina Silvestro, and education from Profiles’ Ami and Traci, DeeDee Desbien, Sara Steinbrink, Nikki Law, and Tammi Merritt. I am as excited to attend and learn as I am to teach! You can visit this page for more information on the event and to sign up. Do you have an e-file that you’re not quite sure what to do with? Have you been thinking about getting an e-file, yet find yourself a little too intimidated? This class is for beginners by a beginner. We will cover some basics on e-file knowledge and safety in addition to how to care for your investment. Once the theory is out of the way, it will be time to turn on the machines and get comfortable using them. 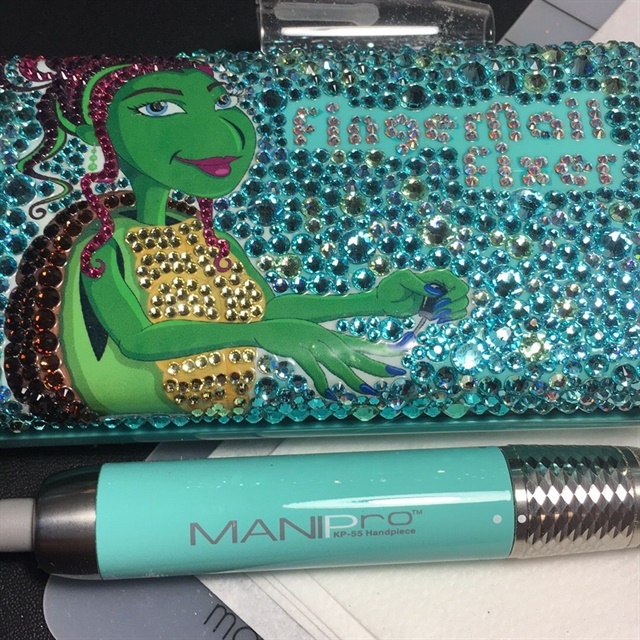 You will need to bring your e-file, your bits, a sharpie of any color, and a practice hand with all five nails that have been enhanced with an average salon nail that’s applied but not finish-filed. If I can make friends with an e-file, you can too! Doing nails involves more than technical skill and a great personality. To do amazing nails, knowledge of color theory will set you apart from the average nail professional. In addition to color theory, being able to turn anything you see into inspiration via your #naileyes will be another asset that you will appreciate having in the arsenal. Combine the two for nails that will stand out or blend in, depending on what you determine!